Rhabdomyosarcoma is cancer in muscle cells. It’s most common in children aged 1-5 years old. 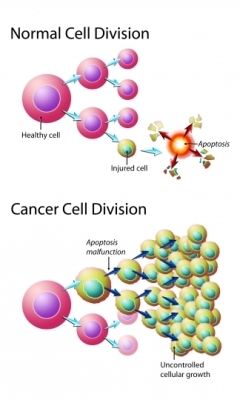 Cancer is when cells in the body split without control or order. These cells go on to form a growth or tumor. The term cancer refers to harmful growths. These growths attack nearby tissues. They also spread to other parts of the body. It’s not clear exactly what causes these problems. It’s likely a mix of genes and the environment. Your child may also feel tired or ill, and have weight loss. The exam and your child's test results will help find out the stage of cancer. Staging guides a treatment plan. Rhabdomyosarcoma is staged from 0-4. Stage 0 is a very localized cancer. Stage 4 is a spread to other parts of the body. Surgery may be done to remove the tumor and nearby tissue. Nearby lymph nodes may also be removed at the same time. Radiation therapy is the use of radiation to kill cancer cells and shrink tumors. Radiation is aimed at the tumor from a source outside the body. It’s mainly used after surgery. Chemotherapy is the use of drugs to kill cancer cells. It may given by mouth, shots, or IV. The drugs enter the bloodstream and travel throughout the body. It's used when the cancer has spread to other parts of the body. This will slow the pace of the disease, but won't offer a cure. There is no way to prevent rhabdomyosarcoma since the cause is unknown. General information about childhood rhabdomyosarcoma. National Cancer Institute website. Available at: http://www.cancer.gov/types/soft-tissue-sarcoma/patient/rhabdomyosarcoma-treatment-pdq. Updated April 30, 2018. Accessed August 2, 2018. Rhabdomyosarcoma. American Cancer Society website. Available at: https://www.cancer.org/cancer/rhabdomyosarcoma.html. Accessed August 2, 2018. Rhabdomyosarcoma in children. Cincinnati Children’s website. Available at:https://www.cincinnatichildrens.org/health/r/rhabdomyosarcoma. Updated October 2017. Accessed August 2, 2018. Rhabdomyosarcoma in children. EBSCO DynaMed Plus website. Available at: http://www.dynamed.com/topics/dmp~AN~T115584/Rhabdomyosarcoma-in-children . Updated June 6, 2018. Accessed August 2, 2018.